Eat with the seasons. What the hell does it mean? Another ‘trendy’ term in the world of food, or is there something a bit more to it? Seasonal eating is a pretty simple concept : include foods in your diet that are grown at the same time of the year you eat them. 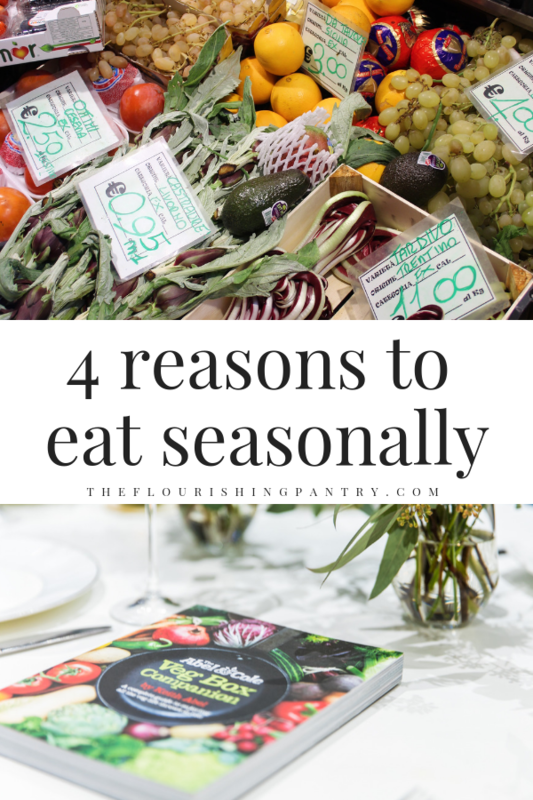 The reason seasonal eating has become so popular is because it has so many benefits - not only for you, but for the people and world around you. Abel & Cole* are massive supporters of eating seasonally. After serving up some of their delicious vegetables at my latest Supper Club I wanted to explore this topic in a bit more depth. I’m not going into any of the nutritional arguments for eating seasonally - I’m not qualified! But I want to give you four compelling reasons that I think it’s great to eat seasonally that I think will convert you. This is a massive driver for me and a great reason to think about eating seasonally. Eating produce that is abundant naturally is cheaper than seeking out ingredients that have to be grown in artificial conditions or flown in from far flung countries in order to satisfy us. If you eat seasonally the chances are the produce you’ll be picking up will be in plentiful supply and therefore prices go down. Right now as we’re at the end of January I’m thinking about things like beetroot, cauliflower, kale and parsnips that are going to be overflowing and regularly on offer in the shops. Spotting what’s in the reduced section will give you a great indication of what is in season right now. Can you spot me browsing the veg shop on this boat in Venice?! Eating food from local suppliers has so many benefits. 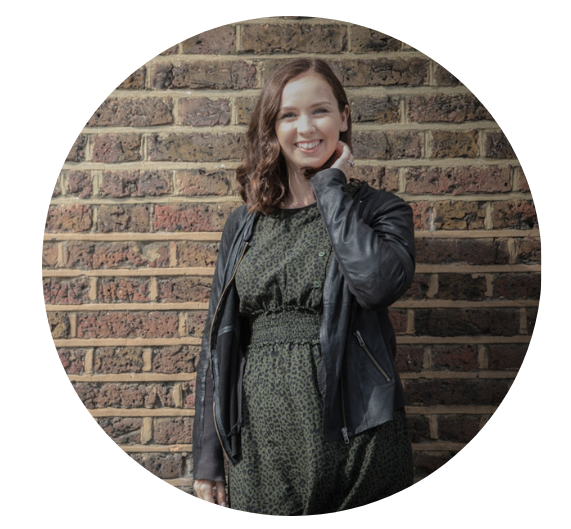 Firstly, having recently started working for myself I have become really passionate about supporting and sharing the work of other independent businesses. Eating seasonally is a great way to buy from food producers local to me - rather than someone in Peru or China, that I’m never going to meet. In turn that has a two-fold positive result. It supports the local economy: more money for the area I’m living to make it more enjoyable and popular to live in. I think the rise of local markets is a great sign of this for example. Eating seasonally and buying local also supports the environment. I’m not only thinking less air-miles and travel for your food. Seasonal produce can also grow without too much added human assistance i.e. pesticides and genetically modification. I’ve talked a lot in the last year about mindfulness and the power of paying attention to the things you are doing, to live life in a more fulfilling and present way. I think choosing to eat seasonally makes you think more carefully about what you are eating and what you are cooking with. Being more aware of the supply chain, the farm or even person that grew the ingredient makes you really appreciate the food you are putting into your mouth that much more. If you’ve ever tried growing your own vegetables (I have on my tiny balcony!) you will really understand the skill and dedication it must take to supply gorgeous edibles in the quantities we eat them. Taking a pause to be grateful for that ingredient and realising how abundantly produce is available around us is a great way to bring mindfulness into our lives. This is my favourite reason of all! I am such a big advocate for getting into the kitchen and experimenting. I genuinely believe there is no other way to learn how to cook and to get better at it than to try things out. The wonderful thing about seasonal eating is that it will push you to try different ingredients you might never have considered before. An Abel & Cole delivery box will land on your door-step a whole host of exciting and interesting fruit and vegetables you may never have tried before and might just be your new favourite thing. Something like Abel & Cole’s All British Veg Box would guarantee some surprises from producers just around the corner. Let me know, what you think? Do you consider eating seasonally when you plan your meals or pick up ingredients? Are any of these reasons compelling for you to give it a try? Don’t know what’s in season when? You can download a British seasonal calendar to find out what’s in season when here. You can read more about How To Start A Supper Club in this blog post by my co-host Charlotte Argyrou. Try out the Roasted Cauliflower Curry that I served up at our supper club using my easy to make recipe. Like this blog post? Pin to Pinterest and save for later. * DISCLAIMER: Abel & Cole generously provided the veggies we needed for our Supper Club. I did not receive payment for this blog post and all opinions are my own. Newer PostWellness Words: What does manifesting mean to you?